17 Apr 2019 / 15:46 H.
One of the 28 camp sites found by the PDRM VAT 69 team in the forest around Wang Kelian in May, 2015. 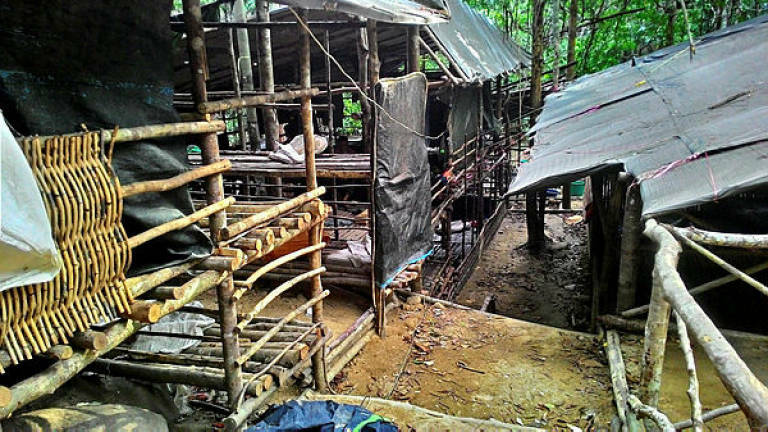 PUTRAJAYA: A woman, believed to be a lookout at a human trafficking camp in Wang Kelian, Perak, warned her accomplices of the arrival of the police at the location even before the authorities made contact with them on Jan 18, 2015. Corporal Mat Ten disclosed this at a public hearing of the Royal Commission of Inquiry (RCI) on the Wang Kelian human-trafficking camp and mass graves here today. 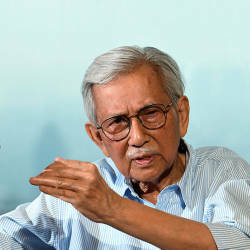 Mat, who was the first person to take the stand, said he saw the woman on an observation deck looking at her mobile phone before shouting “polis datang” (police coming). However, he said, neither he nor any of the other nine police officers were in the woman’s line of sight. They had, in fact, taken cover, he said. 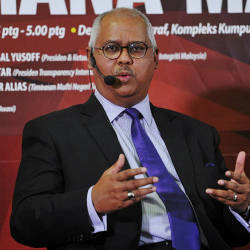 Mat was responding to a question from Datuk Nazirah Hussain, a member of the RCI panel, who wanted to know if the said woman had alerted her accomplices and the other illegal immigrants there after reading a text message on her mobile phone and not because she saw the police. “Yes, it was not because she saw me, but after she read the message,” he said, adding that this prompted those at the location to make a run for it. Only six illegal immigrants were arrested that day, Mat said. He added that the police found them in a weak state and promptly nabbed them. To another question, Mat said he did not know the content of the text message that the woman received. He said he first suspected something was amiss when he found some old clothes while on a routine check in the woods in Wang Kelian. On the following day, he said, his superior gave him the task of conducting a survey with the help of his section commander Sgt Yusof Islam Hassan. He said they found soap bubbles in a stream nearby and then spotted the same woman washing her clothes in the river. “We then decided to follow her,” he said. Mat said he recognised the woman as the same person who was acting as the camp lookout. It was then that the two officers discovered the human trafficking camp that they initially thought was a drug processing syndicate. “At around noon, we returned to the Wang Kelian police post to report to our superior ASP Joeking who then instructed us to return to the same location with eight others conduct further survey operations,” he said. “I told him we should postpone the operations by a day to avoid suspicion but he said it was an order. 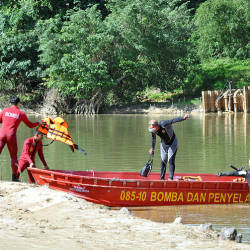 So at around 4pm we went back up (to Wang Kelian),” he added.